There is lots you can do to keep yourself safe and not get into a treacherous situation. Though, you could still be in danger just going about your business. That’s why so many folks are deciding to arm themselves with self-defense tools. From stun guns to hand guns, there are endless possibilities. But not all self-defense weapons are right for carrying. There are those that are too large to be concealed. Others are hard to use, or need a permit to carry. Even more are hard for someone to use without vast training. That’s what makes a steel baton the ideal choice. Steel batons are lightweight, easy to use, and collapsible. They are the perfect choice for those wanting to defend themselves from the unexpected. What makes steel batons so incredible? 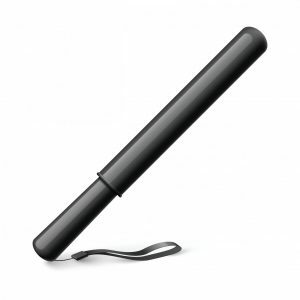 Keep reading for some reasons why steel batons are the ideal self-defense tool. The last thing that you want to do is bring attention to yourself by making it clear that you have a weapon. Having the hint of surprise can make all the difference if a situation arises. Not having that surprise gives your attacker the opportunity to attack first or disarm you. If you want to carry a concealed weapon, you’ll have to have a permit. This means hours of range qualification and class training. If you haven’t fired a gun before, you could have to have more hours of practice before you can pass the qualification to receive your permit. Anybody can use a steel baton to fight an attacker. Some training can aid you in more precise fighting. It will let you immobilize your attacker faster. This will also save you from getting hurt during the attack.